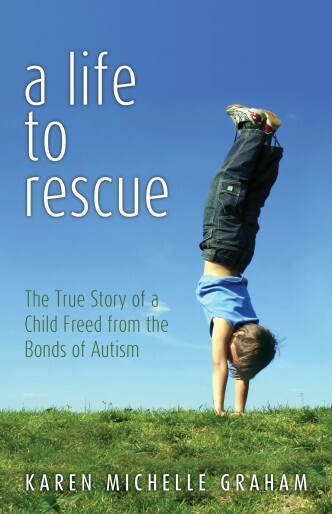 Description: A Life to Rescue is the true story of a couple who refuses to give up on their two-year-old son, Jeremy, who is diagnosed with autism. Though the information on autism conveys only hopelessness, with a passion born of love, they search for answers and persevere amid the conflicting views on how best to help their son. With the God-inspired thought in mind, “look for what is successful”, they find a therapy that, though controversial, had significant merit. Follow the heartwarming story of the four-year journey of Jeremy’s healing from autism. Jeremy is now a typical college student, enjoys going out with friends, dates, and drives a car. He is currently a junior, makes As and Bs in his classes, and has a wonderful sense of humor. Last year as well as this year, he participated on campus in student leadership roles. Karen is a published author whose interest in writing and speaking began at eight years old when her third-grade teacher and fellow classmates requested her stories during free time at school. Karen has won several first place and finalist awards including the 18th Annual Writer’s Digest International Self-Published Book Awards, Inspirational Writers Alive in Houston, Austin Manuscript Contest, and Barclay Literary Competition. She is a wife of thirty-two years and mother of two wonderful children—a twenty-four-year-old daughter and a twenty-year-old son.